The compact Balboa spas are designed with lounge and bench seats with the perfect size-to-weight ratio for those looking to place a hot tub on a deck or patio with limited amount of space or restrictions. 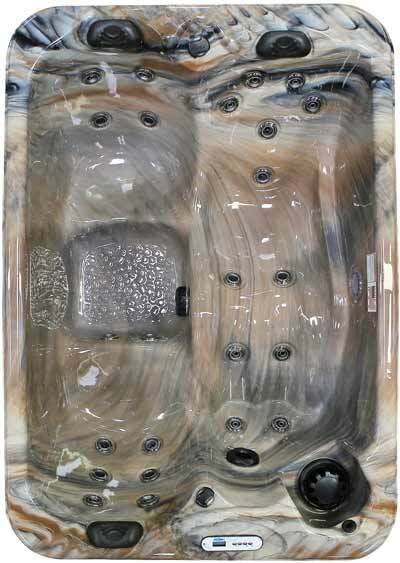 This 25-jet spa with whirlpool jet offers all of the features that normally come in a full-size Cal Spas hot tub but in a smaller footprint. Enjoy the comfort of three I-Pillows while the soothing trickling sound from the hydro-streamers drifts your worries away.